• Admit mistakes. One CEO whom Izzo worked with admitted in front of 400 people that he was wrong about a decision. • Be boring. 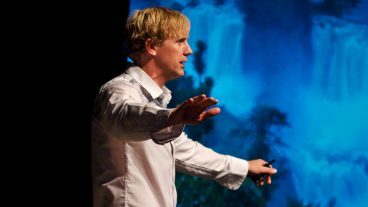 People trust you when you’re predictable, says Dan Clark, a Salt Lake City-based leadership speaker and author. If an investment adviser has always been conservative and suddenly picks a risky penny stock, clients will lose trust fast. “As soon as you go against that pattern, you violate that trust, and that’s the hardest thing to regain,” Clark said. • Take control. Rather than rely on someone else to keep his end of an agreement, focus on what you can do, says Clark, who wrote “The Art of Significance.” Standing by those traits, which he calls covenants, lets people stick to their values regardless of how others act. “It shows that I won’t change my integrity or my principles,” Clark said. • Act with integrity. Izzo worked with Total System Services several years ago when one of the firm’s reps was meeting with a client. The rep said the client’s firm could do it on its own without hiring Total System. That cost Total System millions but was the right move for the client. • Get others involved. Give people a seat at the table, Izzo says. When you invite others to take part in decisions, it builds credibility. “We trust people who want our input,” he said. • Set boundaries. If you say you’ll be at a meeting at 8, don’t arrive at 8:15. People will start to assume they can’t count on you to be somewhere on time. And be clear about what you want from others. • Go the extra mile. TD Industries, a Dallas-based construction firm, was selling one of its divisions six years ago. Izzo says the owners showed the bids to the employees and asked which firm they’d prefer to buy them. They picked the second-highest bid, figuring it would be a better cultural fit. The owners went with that, even though it cost them several hundred thousand dollars. “What a way to build trust,” Izzo said.